Written by William O'Leary on June 20th, 2014 May 11th, 2016 . Receiving Sacraments is a vital expression of who we are as followers of Christ. God desires more than anything to give us his life – His very life is received through the 7 Sacraments. A Sacrament is an outward sign instituted by Christ to give grace. The Sacraments of Reconciliation and Eucharist are traditionally received during the 2nd grade year (although older children and adults also receive these sacraments each year). The Sacrament of Confirmation is Traditionally received in the 8th grade year. Below is information about Sacramental Preparation at Church of the Ascension. The faith formation of children and their preparation to celebrate thesacraments is primarily the responsibility of parents. Father Andrew, as pastor, faith formation coordinators, catechists and the parish community share this responsibility and assist parents to bring their child to the fullness of a life of discipleship through prayer, support, formal catechetical programs and preparation processes. Parents prepare their children for sacraments by first serving as an example through their own regular participation in the Sunday Eucharist, their own modeling of prayer and service, and their active participation in the life of the parish community. Parents have the privilege, right and responsibility to be intimately involved in preparing their children for sacraments. 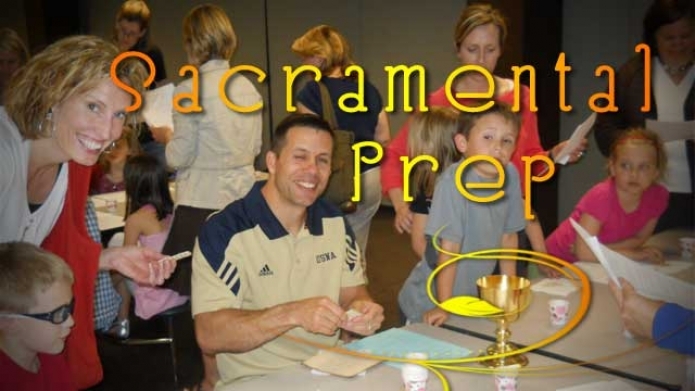 Parents are expected to attend parent sessions so that their ability to participate in the preparation of their child to receive the sacrament is enhanced. Preparation for a child’s First Holy Communion is 2 years. Children are to be registered in School of Religion one yearprior to their reception. For most child this means being in 1st grade classes prior to their 2nd grade year. Attendance and active participation at weekly class. 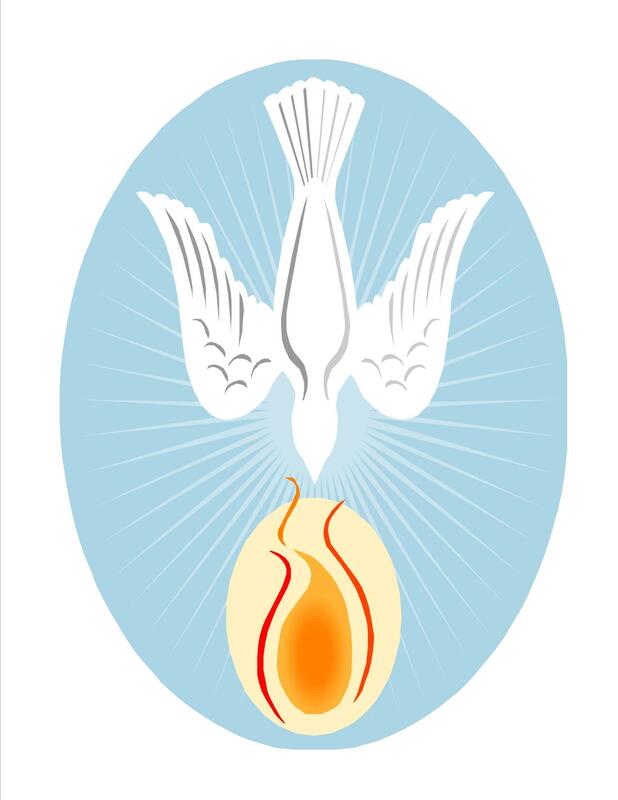 The Sacrament of Confirmation is a gift of the Holy Spirit which confirms our initiation in Christ which began at Baptism and calls us to be witnesses of Christ’s life and love. It also completes the Sacraments of Initiation. It is the beginning of the next step in ones spiritual journey. 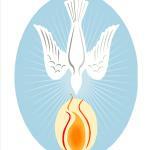 We have a two year preparation Program for all candidates preparing for the Sacrament of Confirmation. Students must have completed Year I (traditionally 7th grade School of Religion) before entering into Year II (S&L). 2. Complete any assignments given in class. 3. Perform 10 Service Projects (Stewardship Activities). Each of these components are signs of their readiness to move forward in their Confirmation Journey. If one is unable to complete the above mentioned they will need to repeat Year I. 1. Provide a copy of the candidate’s Baptismal certificate (if not Baptized at Ascension). 2. Having attend Year I Confirmation (traditionally 7th grade) prior to entering Year II (traditionally 8th grade) faith formation. 3. Attend Weekly S&L meetings. 5. Complete 20 service projects (stewardship activities). 6. Candidates must complete all homework assignments. Completion of the things mentioned above are what we consider “signs of readiness” for Confirmation. It is important that each of these are completed and each candidate participates in each aspect of our program in order to be ready to receive the Sacrament of Confirmation.